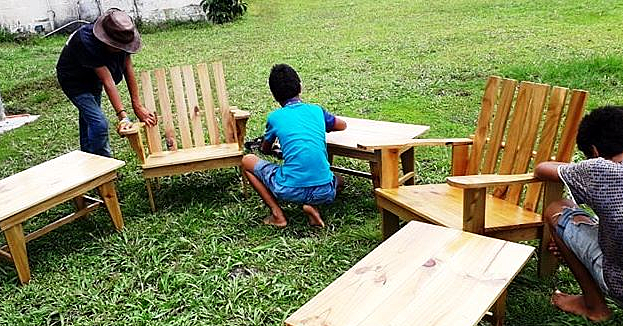 Samoa is not only known for its’ beautiful scenery but also its friendly people and that is why school teachers Rachael Carson and Celia Costelloe from New Zealand keep coming back. Two years ago, the women visited our country and fell in love with Samoa. This time, they brought with them a group of school kids from New Zealand for a tour on the islands. 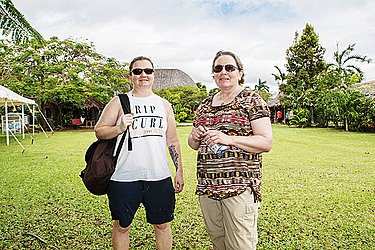 The Samoa Observer approached Rachael and Celia yesterday while they were touring the Samoa Cultural Village at the Samoa Tourism Authority compound. They were living the hot and humid weather. “We’re travelling with the school groups and we’ve got them organized running around town at the moment,” they said. Social Studies teacher Celia, 53, from Dillmanstown, West Coast said the main reason why she brought the kids here was to give them an opportunity to experience the Samoan culture. English teacher Rachael Carson, 43 from Ranfurly, New Zealand said that she loves and admires the Samoan culture as well, the sea especially the people.